My family’s relationship with the Pinajian-Dorian family spans decades. We’ve shared many delicious Armenian meals together in that time. Dian Dorian, one of my bridesmaids back in 1977 (she was just a kid then), embraces a vegetarian lifestyle these days, and couldn’t be happier. 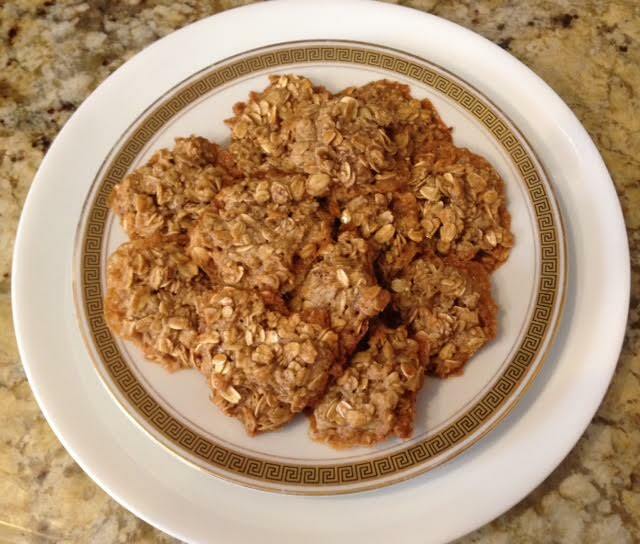 Dian’s mom, Barbara, recently made one of Dian’s favorite breakfast treats – Tahini Breakfast Cookies - and asked me to sample a few. How could I refuse? One bite, and I was hooked! These are nutritious, chewy, and extremely quick and easy to make. It’s also appropriate for Lent! The origin of this recipe is unknown, but Barbara said that when Dian finds a recipe that sounds interesting, she tweaks it to suit her taste. I, in turn, made an addition to her recipe to suit my own. Optional: Add chopped pistachios or chopped walnuts. 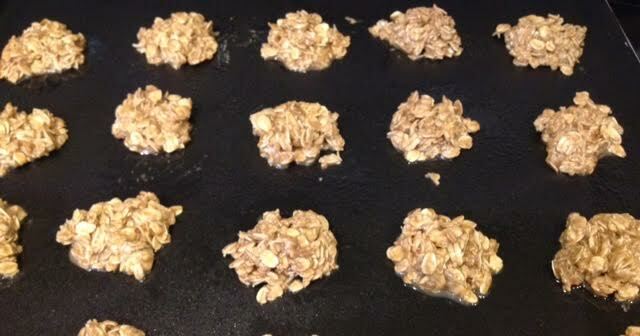 Mix all ingredients thoroughly in bowl and roll into balls which you flatten onto an oiled cookie sheet. Bake at 350 degrees for 8 to 10 minutes. Let cool on the baking sheet before removing because these have a tendency to crumble. I used a bit less honey so it wouldn’t be as sweet, and added 1 Tbsp. of toasted sesame seeds to bolster its earthy flavor. I used 1/2 tsp. cinnamon and a sprinkle of freshly ground cardamom. If tahini is unavailable, you can substitute creamy peanut butter or any other nut-butter. Other optional add-ins: raisins, chopped dried apricots, dried cranberries, etc. Do you have a favorite recipe for Farina Cake? In a large bowl, combine the ingredients in the order in which they’re listed, mixing well. Preheat the oven to 350°F. Lightly grease a 9”x 13” pan. Pour the batter into the prepared pan spreading it evenly. Bake for 45 to 50 minutes. While cake is baking, prepare the simple syrup. Remove from oven; allow cake to cool. Place sugar and water in a saucepan. Bring to a boil and cook for 10 to 15 minutes. Add lemon juice to prevent the syrup from crystallizing. Cut cake into squares or diamond shapes. Pour slightly cooled syrup over the cake. Garnish with additional pieces of nuts, if desired.